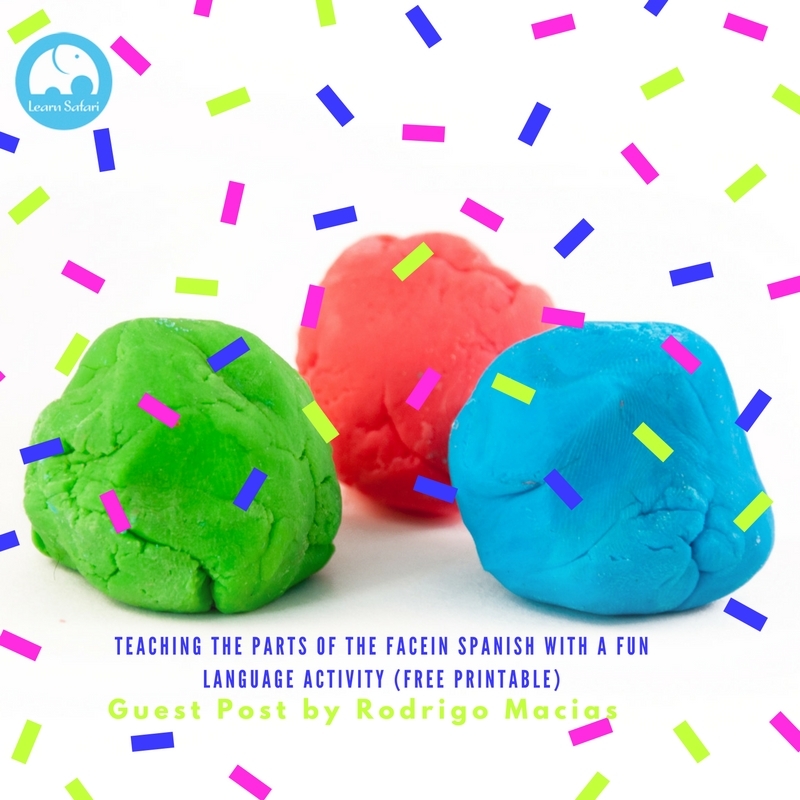 We are so excited to present this activity by Kids Activities Designer Rodrigo Macias * It is a wonderful and fun way to practice the parts of the face in Spanish with your kids and/or students. We promise, they will not get bored with this one! Enjoy! 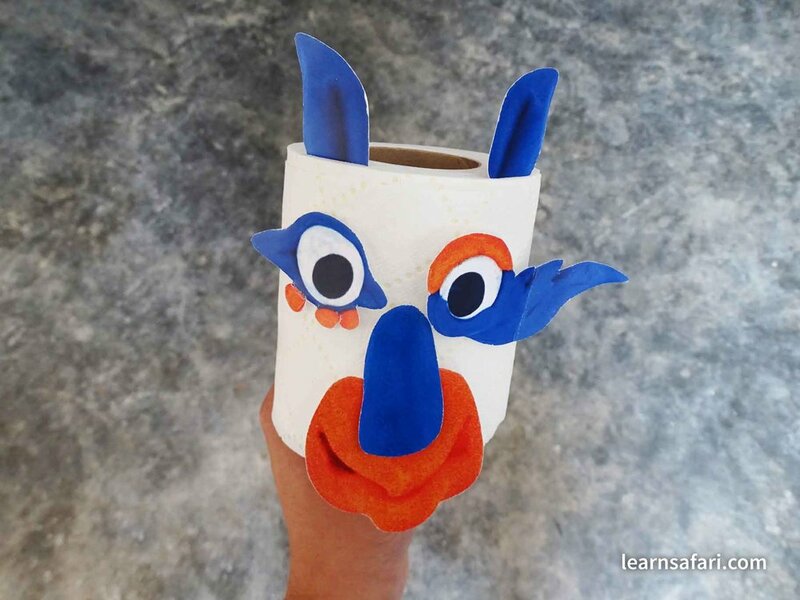 Activity: Practice the vocabulary for the parts of the face in Spanish by rolling the “face parts dice” and then choosing from a mix of different kinds of dough eyes, noses, mouths and ears to form different kinds of funny creature’s faces. Print and cut out the face parts and dice provided in the free printable. After bending in the gray lines on the dice, use tape or any kind of glue to stick the flaps andform a steady cube shape. Layout the base face template and place the face parts around it. Roll the English dice and select a matching face part from the pool. Do the same, but now using the Spanish dice. Keep alternating the dice until the creature’s face has all 6 parts (left/right eye, left/right ear,mouth and nose). - To keep the game fresh during many different rounds, rotate the base face template between rounds to make different kinds of creatures (see example video above). - Each face part can also be rotated to form different looks. This encourages the kid’s creativity as well as giving more dynamism to the activity. Forget the base face template and let the kids add the face parts to any random objects (you might need tape to do this). Below is an example using a roll of toilet paper 😛 . 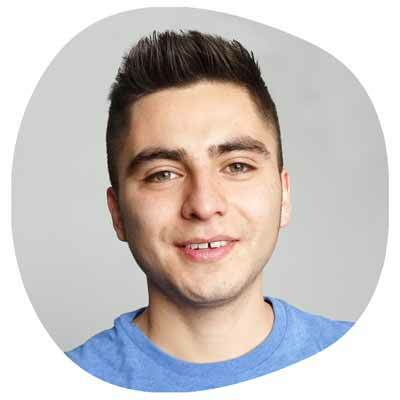 Rodrigo Macias is the creative behind The Box of Ideas (his website) where he merges his experience working in Childcare, Design and Languages to produce free high quality printables and playful-educational activities for kids. Newer PostFeeling Resistance When Trying To Raise Your Child To Be Bilingual? Here Are 5 Tips To Get Skeptics On Board! Older PostWe All Want Our Kids To Be Geniuses, But Are You Making These 5 Common Mistakes?